Dana has been my therapist and has helped me so much! She is extremely knowledgeable and so sweet. I truly get a sense of caring from her and its so important to feel comfortable during the procedure. I have been super backed up and Dana has helped me to find the right path to be healthier, and able to feel great and got me going to the bathroom daily (what a relief!!). I honestly cannot say enough nice things about this woman! Most importantly, Dana was able to help me calm down with a month away from my wedding and probably more important than that, fit into my wedding dress! She is the best! Living Water Rejuvenation is changing my life quite literally. I have struggled with Rheumatoid Arthritis for years and am currently using a wheelchair. After coming to LWR I found I would leave each colonic session with less pain. One day Roxanne suggested that we try a Lymphatic Drainage treatment before the colonic. The difference was nothing short of amazing. My red and extremely swollen knees began to calm down and the swelling began to ease away. I usually needed help turning over on the table, but after two lymphatic treatments, I rolled over on my own, much to my surprise! I am currently coming in about twice a month, and continue to see promising results. I found Roxanne on the I-ACT website, and noted she was also a certified educator. Roxanne has been knowledgeable, compassionate, and with a great sense of humor. She will do her best to see that you are helped with any issue. I will write an update when I am out of the chair, which I believe will be soon! I feel that my story is still in process, but here is my current testimonial. I just wanted to thank you for all of your time and teachings these past two weeks. I really enjoyed your class and getting to know you. I have learned so much from you. You are such a great person inside and out, and it is very evident how much you care about people. I feel blessed to have you in my life as a mentor. OK I could go on and on…..Thank you again! 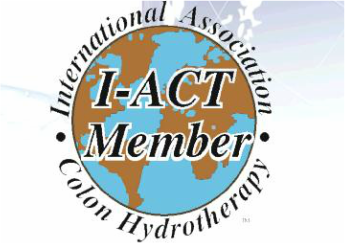 Thank you again for opening your home to me/us and sharing your knowledge of Colon Hydrotherapy. It was a wonderful experience on so many levels. CCCI came to me at the absolute perfect time in my life, God’s perfect timing! You are a beautiful woman Roxanne! Thank you so much for your kindness, friendship, encouragement, and faith in me. I look forward to talking with you about being part of the Living Water team. Living Waters Rejuvenation saved my colon. Not only have I had stomach problems all my life, but I have also dealt with migraines. My gastroenterologist doctor recommended Roxanne to help make me regular. In my 33 years I have never gone to the bathroom everyday or even every couple of days, usually it was every 4 to 5 days, but the longest was two weeks. At 30 years old I had a colonoscopy and endoscopy to figure out what was wrong, the test came back negative, but my doctor advised me to go gluten and dairy free. It has been almost four years and I still have issues with my colon, kind of ironic since my last name is Colon. I had about three colon therapy sessions years ago and I didn’t have any success, so I was hesitant to try again. Roxanne made me feel so comfortable and understood my frustration. Upon my first colon therapy session, I started juicing everyday, getting vitamin infusions every ten days and changed the water I drink, everything my gastroenterologist recommended. I was prepared for my first colon therapy session and I went into it with an open mind, it was a success! I have gone to the bathroom everyday, sometimes two or three times a day, and I owe a huge thank you to everyone involved, especially Roxanne. Living Waters Rejuvenation not only saved my colon, but my life, who knows if I didn’t fix this problem now that down the road I would of developed cancer. Thank you Roxanne! The colon hydrotherapists at Living Waters helped to change my life in terms of eliminating toxins, including parasites.They are professional and knowledgeable and helped to restore my health. I will continue to include their services as part of my health maintenance regime. Roxanne is absolutely fantastic – one of the most pleasant and knowledgeable professionals I have been to. I had the Electro-Lymphatic treatment and was very impressed. It was relaxing and I have heard it has many great benefits for removing toxins and helping lymph to flow. But what really made me a believer was seeing and feeling firsthand how helpful it is with inflammation. Th knuckle of my pointer finger on my dominant hand was very swelled and red, and it was painful whenever I bent it. Immediately after Roxanne treated the area the redness was no longer visible and the pain was significantly reduced. Am so glad she will now be offering the treatment in Solana Beach as well! I’ve lost 30 pounds in about two months! This was acheived through a healthy combination of Living Water Rejuvenation Center’s Colonic, Lymphatic and Ionic therapy sessions, their specially-designed liquid fasting diet, and Living Water’s dietary nutritional supplements and education! My new radiant complexion that others have commented on! Increased sense of overall positive well-being. I just wanted to let you know that I had my first session with Ciara two weeks ago. She is professional, nuturing, and very insightful! I had no doubts at all throughout the therapy that Ciara has been trained beyond the ‘standard’, and that she went above and beyond a mechanical modality to truly help me in an a compassionately holistic manner. Plus she is such a sweetie!! Thank you, Ciara. I’m looking forward to having more work completed and enjoying the lifelong health benefits of the dedication and expertise you show to your clients and your profession! I truly feel the women at Living Water Rejuvenation Center saved my life. I am so grateful to you that I’d like to share my story. I had been dealing with constipation for years, trying every possible solution, from herbal laxatives to special diets to expensive programs in which I ingested psyllium fiber daily. Still, my problem persisted, until I was so constipated I was really, really worried something very serious was wrong with me. I researched on the internet to determine what it might be. Irritable bowel syndrome? Food allergies? A blockage in my colon? At this point, I was barely eating anything, because the only way I could have a bowel movement was to take a lot of laxative, and then it was very painful when I finally eliminated. I was incredibly scared. I finally made an appointment with my primary care doctor, and she told me constipation is very common as people age. She wrote me a prescription for something that might help initiate a bowel movement and ordered several tests, including a CT scan of my abdomen and reproductive areas. Hesitant about filling the prescription, I went home, sensing there had to be something more natural. Then it dawned on me … something I had read about long ago … I think it was called a colonic. It seemed like common sense, so I got back on the net and found a couple places that offered them in my area. This is how I discovered Living Water Rejuvenation Center. First of all, they were so friendly and patient and helpful on the phone that I felt comfortable talking about my problem. I was able to make an appointment for the next day and gratefully speeded over the following morning. I really had no idea what it would be like but felt an immediate relief as I witnessed a huge release of waste material that had been clogging my colon for who knows how long. I purchased five treatments that day. I got a colonic weekly and learned from each therapist what toxins were releasing. Everyone who works at Living Waters is, knowledgeable, genuine and very kind. I truly feel normal and healthy for the first time in years, as I am back in sync with my body. Not long ago I saw my doctor for a follow-up appointment after finding out that my CT-scan results were negative. She’s a very sweet Indian woman trained in Western medicine but open to my preference for natural remedies whenever available. When I told her of my great results from having a series of colonics, she was alarmed, saying, first of all, “Does it hurt?” and then, “I could see maybe getting one, but I don’t think five is a good idea.” I explained to her that toxins build up in the colon and become impacted and that the colonic is simply water injected into the colon to loosen the stool and then release it. I told her the reason for a series of treatments is to coax the older, more densely impacted stool to release. She still looked skeptical and a little scared (like a little kid, to be truthful), but she took the brochure I brought and promised to read it. That’s when I had an epiphany of common sense. I am astounded at the lack of common sense in our healthcare system. I cannot imagine anything more obvious and natural than a colonic! So I am on the band wagon to spread the news to everyone I encounter who may be dealing with constipation. If I could afford it, I would pay for a colonic for every single family member and friend, so they could experience how good it feels to release years of toxins and feel loose and normal bowels. As it is, I am going to gift my husband with at least one session. I also want to mention how impressed I was with the results of the ionic foot bath. The toxins that were released were mainly from the liver, which corroborated the diagnosis of the medical intuitive I saw that there were heavy metals in my liver. We saw some release during the colonics, but it was fascinating to see more come out through my feet! I am so GRATEFUL I discovered Living Water. As you can conclude from what I’ve shared, I’m no longer scared about my health. So I thank you all for your dedication and expertise. And I so appreciate the genuinely loving, caring attitude you have toward your clients and among yourselves. I can’t thank you enough for the year you devoted to me and my health problems! I was scared to come the first time; but as I became acquainted with your work and your talents and also with each of you personally, I began to look forward to my visits. In my experience Living Water Rejuvenation’s time-tested, personalized programs are highly effective. Now a year later I am healthy and feel terrific. I believe a lot of the credit goes to each of you, the work you do, the personal interest you took in me and my problems and what you taught me. I used to suffer from regular migraine headaches which could only be controlled by taking a medication 3 times per day everyday. This went on for 15 years until I discovered Colon Hydro-Therapy. Since I started a ritual of once a year colon cleansing three years ago, I have not had any more Migraines. Additionally, my weight has been under control so much more and I am feeling a lot healthier. I’ve been a client of Living Waters Rejuvenation Center for several years, doing cleansing programs periodicly. Recently, I began adding electro-lymphatic therapy sessions prior to my colon hydrotherapy. What a positive difference it has made! I am truly amazed at how much more effective the colon hydrotherapy treatment is, and the effects are long lasting. After the sessions I feel healthy, balanced and energized. I highly recommend the electro lymphatic therapy at Living Waters to anyone committed to their health and well being! After I had my session at your facility, I felt like a new person! My pain was less and my energy was increased! I would have come back for more had it not been for the economy and my continuing lawsuit regarding my accident. I just wanted to share with all the staff at the Living Waters Rejuvenation Center the tremendous relief and joy that I have experienced, since I started the colon cleansing treatments on February 18, This has been a life changing experience for me. I can’t begin to express in words how beneficial these treatments are on a monthly basis. It is amazing to see the toxins flow right out of my body and at the same time achieve a renewed spiritual closeness to Jesus Christ. These treatments have provided me with a deep inner peace that I have truly never ever felt before in my life. It is an amazing experience; especially, since I no longer crave the processed /sugar type foods. It is definitely a wonderful transformation to only eat what is good for the body, soul, and mind. I would highly recommend that any one who is suffering from ailments and are not sure why, experience these treatments on a monthly basis. But, beyond any sort of ailments, everyone, young or old needs to experience this cleansing for their body. This has become a lifestyle for me and I am so grateful that I am able to experience this sort of rejuvenation and peace for my well being. If you want a reputable, professional, affordable, and serene environment to experience this miracle, then you need look no further. The Living Water Rejuvenation Center can fulfill your needs. The whole the staff is gentle, caring, and professional. It is truly a blessing and joy to visit them once a month. They truly make you feel right at home and are extremely committed to your overall health and well being. My Colonic was an experience that I was not expecting. It was wonderfully intense and rejuvenating. My therapist was very professional and took all the steps necessary to make me feel comfortable. It is an understatement to say how clean and energetic I feel. I am cleansed and my body thanks you for it. The Electro-Lymphatic treatment transformed my body. I went from 50 lap’s free style to 100 immediately after. I feel light throughout every system. Many Thanks! To all of you here at Living Water Rejuvenation Centers. Prior to this my colonic experience was awful at best. Here it is relaxing and successful. I have been experiencing migraine headaches for years to the point of being sick some days with them. After my second colonic session with Living Water I have not had another headache. Everyone here is awesome. I will miss all of you when I have to go back to Colorado. Thank you for giving me back my life. I tried the Ionic foot spa when we first got it in. I being the skeptic I am didn’t expect very much. Earlier in the week I had fallen down a flight of stairs leaving me with a number of very dark bruises, major swelling, and pain in my ankle. After the foot spa, I didn’t see immediate results, but after a good night sleep I realized that all the pain in my ankle was gone along with three inches of swelling. My bruises were almost none existent. This is amazing! I came to Living Water with high cholesterol 223 at age 37. My Doctor wanted me to start taking a medication that he said I would have to be on for life based on my family history. I had heard that changing my diet and eating healthier could help. I knew that I needed to cleanse my body to change my cravings for bad food. I started with Living Water on a series of ten sessions of Colon hydro-therapy over ten weeks with a few foot spa’s and Electro-Lymphatic sessions added when I had the time. I felt better very quickly. Increasing my energy and productivity at work. I went from 217 lbs to 197 lbs during those ten weeks. The terrible heart burn I had was gone, and best of all my cholesterol drop 60 points much to the amazement of my Doctor, who said this would never had dropped this much by medication alone. I am so thankful and will be a believer in cleansing and detoxify through your cleansing program all of my life. After being diagnosed with breast cancer I knew that I wanted to detoxify, so I immediately scheduled a series of colonics. The day before my 1st colonic I had a cat scan and the results were somewhat alarming, multiple lesions in my liver and probable liver cancer (that was May 31). One month later after several colonics, a veggie diet and daily juicing. I had a liver ultrasound. I told the tech about my cat scan and she told me all she’d checked my liver carefully. What she found was 1 tiny lesion in the right lobe and NO CANCER. I’m convinced that the colonics helped tremendously. This is one of the most healing treatment centers in San Diego. I was diagnosed with Breast Cancer in 2005 and was told about Living Water by a friend of mine who also had breast cancer. The staff here is wonderful, knowledgeable, and friendly. I have felt so much better, and stronger after each session of colonics, Electro-lymphatic’s and foot spa. Dana, Thank you so much for the great birthday cleansing. I was amazed to wake up eat a large bowl of oatmeal then got on the scale to have lose 4 pounds. Today is Monday (1week latter) and those 4 pounds are still gone. I knew my lymph glands were clogged. There are some things that are accidental meeting you was no accident. My skin has improved greatly. Vein on my leg has gone down. I lost 10 pounds. Only had three sessions. WOW! No more pain, bloating, and diarrhea from I.B.S. I was browsing a magazine and found an add for Living Water. I was intrigued, since I had experienced colonics as a teenager, but I had lost track of this type of therapy. I started a ten series in the hopes it would help my irritable bowel syndrome. I finished today. And all I can say is WOW!!! No more pain, bloating, or diarrhea. And definitely no more constipation. I recommend this cleanse to anyone who has interest. What an experience! I have worked with 5 therapists at Living Water Rejuvenation Centers, and every one of them is an Angel! I have never felt better about my health. They have taught me so much! At the age of 44, I have heard so many people talk about how hard is to lose weight. I was so skeptical and tried a lot of weight loss programs. After meeting the owner of Living Waters Rejuvenation Center, Roxanne Watson, she enlighten me about cleansing, fasting and detoxification. In just a couple of months, I went from weighing 235 lbs to 200 lbs. I’ve never felt more confident in myself and my weight. I owe it all to Living Waters Rejuvenation Center and its Founder/Owner, Roxanne Watson.